Fifth of Daybreak had the most liked content! Board games, reading, writing, politics, spirited debate, general geek culture, role-playing games, performing, lots I'm sure I've missed! Thanks for your support! I definitely think a Kandra would be on my short list if I was playing instead of running the game. Episode 5 'The Philosophy of Tony Darkomancy' is now live! The Lost Legends charter a boat to chase after the kidnapped metallurgist. I didn't see this until now. She's confident she can make one, I'll get back to you when she's had some time to work on it. After Brandon posted about his new doomslug I got jealous and asked my girlfriend to make me one. Harmony Would Be Ashamed is now live! It's a great time to jump in if you're waiting to check us out, we've been getting better every episode! I'm hoping they aren't too pricey so I can jump on the Kickstarter this time instead of getting them late. I love the set I already have. Longroot Island Iced tea for me please. Hey everyone, I know I've been teasing it for a long time, well over a year, but today it finally happened, we've officially launched and released our first episode. You can find 'Lost Legends of Scadrial' on iTunes, Google play music, Spreaker, Stitcher, TuneIn, and on YouTube. We will also try to keep this thread updated with all new episodes. Without further ado, we hope you enjoy listening as much as we enjoyed playing and recording. 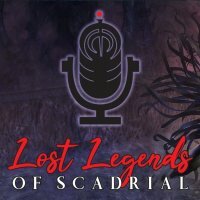 Quite fortuitously, we just released the first episode of a Mistborn Adventure Game Podcast we're calling 'Lost Legends of Scadrial.' You can give us a listen to get a better feel for how the game works. We're on most of the large podcast providers and on YouTube. Cover Art update for the Lost Legends of Scadrial Mistborn Adventure Game Podcast! 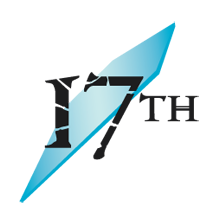 I should have written BoredRoom Design, they're a graphic design company that does freelance work. I gave them my original idea for a microphone with the Tin Symbol as its head and they put it into practice beautifully and designed the logo as well as arranging it on Steve Argyle's artwork. 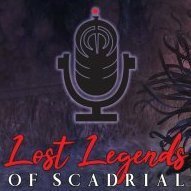 Hey everyone, after almost a year of work we're getting ridiculously close to releasing our Mistborn Adventure game podcast, Lost Legends of Scadrial! 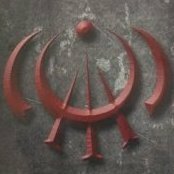 If you enjoy actual play podcasts, have wanted to give them a try, or just plain want some Mistborn flavored fun, come give us a try! While our first episode has yet to launch, I've put together a launch trailer for your enjoyment: You can get the latest news and interact with us on Facebook, Instagram, Twitter, as well as sending us an email at [email protected] Feel free to get a hold of me here on the Shard as well. If all goes well, I hope to release the first episode in two weeks and then release new episodes on a bi-weekly basis after that. I hope that everyone enjoys what we've been putting together. It's been a long time coming and we've all put a lot of work into this. If you have as much fun listening as we had playing the sessions then I'll consider this a great success. If you do like it, please spread the word! Enjoy! GenCon! Who's going? Let's plan some games! I could probably whip up a one shot to narrate as well, but I'd love the chance to play if someone else is able to narrate.